My Tampa Bay Mommy : Kohl's Toy Sale - Up to 70% Off Select Toys - Star Wars, Disney, Nerf & More! Kohl's Toy Sale - Up to 70% Off Select Toys - Star Wars, Disney, Nerf & More! Stock your Gift Vault on the cheap and shop Kohls.com right now for a selection of toys, including Star Wars, Disney, Carters, Nerf, Marvel and more, discounted by up to 70%. 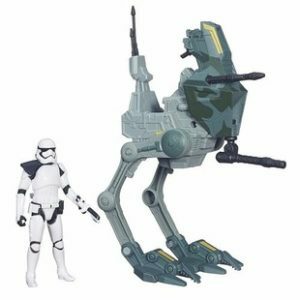 For example, this Star Wars Assault Walker Vehicle and Stormtrooper is now $9.89 - regularly $32.99, and the Hot Wheels Death Star Play Set is now $5.99 - regularly $59.99!! Note that supplies are limited and individual items may sell out. Browse all clearance toys here. Shipping is free on orders of $75 or more, otherwise it adds $8.95.